During the warm months, it’s nice to have some refreshing beers on-hand. The wheat beer is rapidly dwindling, and I suspect the same will be true also for my session IPA. So, it’s best to get out in front of the inevitably empty keg and brew up a replacement! In the interests of maximum drinkability to the greatest number of friends and family, I’m aiming for a blonde ale. Although my “house” blonde recipe is quite tasty, I wanted to branch out and try something different. Gordon Strong’s Modern Homebrew Recipes had a beer called “New World Blonde,” which was intriguing in terms of the malt bill as well as the technique. 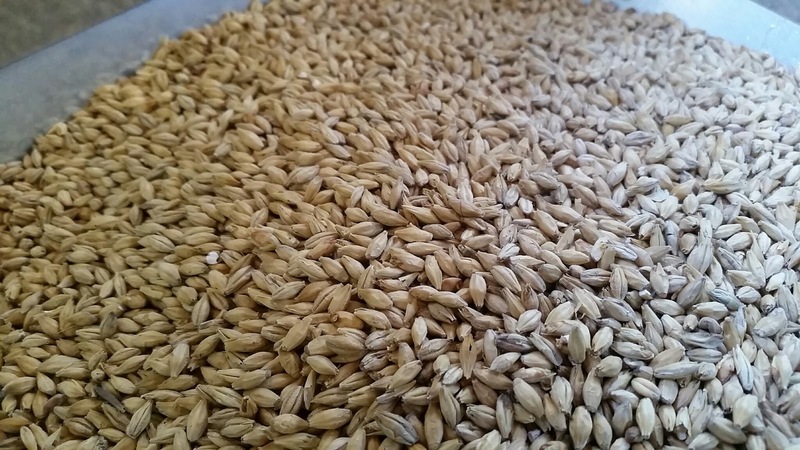 The malt bill was interesting because it was a little more complex than my usual blonde ale recipe. The suggested technique departed from my usual, in that it was a no-sparge step mash. The single wort collection schedule is supposed to provide a slightly richer malt flavor. The step mash is presumably to incorporate a protein rest for the pilsner malt. Because I am just mashing in a cooler, I am somewhat limited in the types of steps I can incorporate, but this recipe was simple enough (target of 132° to 152° to 168°) that I could approximate it. Of course, I couldn’t quite raise the final step as high as needed (I maxed out at 161°), but for my purposes I deemed it sufficient. I made a few minor changes from Strong’s recipe, primarily to use all Citra hops (his called for 1 oz. of Australian Galaxy too, but I didn’t want to buy yet another bag of hops that would only be partly consumed) as well as to switch to WLP051 from the recommended Wyeast 1272. In terms of overall process, I hit my temperature targets fairly well, and my actual efficiency was a bit better than estimated prior to the brew. I mashed in with 5.1 gallons of water at 139.5°; the mash temperature settled at 133.8°. After 15 minutes, the mash was down to 133°. Next, I added 2 gallons of boiling water, which raised the mash temperature to 153°. Temperature was down to 150.4° after 30 minutes and 148° after 45 minutes. After 60 minutes (past the first boiling water addition), I added 7 quarts of boiling water for the mash-out, which raised the temperature to 161°. After 15 minutes, I vorlaufed and then drained the mash tun completely. In total, I collected 7.3 gallons of wort at a gravity of 1.042. This works out to 75% efficiency – a bit higher than expected! I brought the wort to a boil, for a total of 90 minutes. At 10 minutes and 5 minutes remaining, I threw in the appropriate hops additions. At flame-out, I removed the first two hops bags and added the final bag (1 oz.). I chilled the wort down to 80°, transferred to the fermenter, and pitched the yeast. Starting gravity was 1.049 (confirmed on both refractometer and hydrometer). The beer showed signs of fermentation within 7 hours of pitching. I brewed this beer on August 8, 2015.